Valletta, Hagar Qim, Mnajdra, Blue Grotto, Marsaxlokk, Dingli Cliffs, Mdina, Gozo Island, and more! Some of the location shooting for Game of Thrones takes place here and Malta’s capital city is always referred to as a baroque masterpiece. 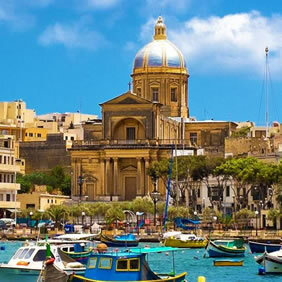 The area’s natural features and its man-made attractions have bolstered travel over the past 20 years in the Maltese Islands, and on this tour, you will enjoy the region’s natural splendors, beautiful lodgings, and incredible cuisine as you peruse Malta’s rich Roman, Arabic and European cultural histories. Even our lodgings pamper us with the best combination of historic details and modern amenities. 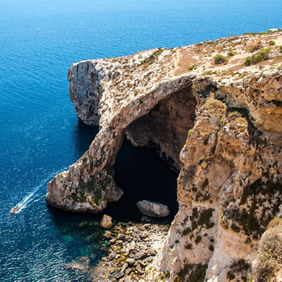 • Kayak the beautiful Maltese coastline with its beautiful blue seas, clear skies, and many sea caves. 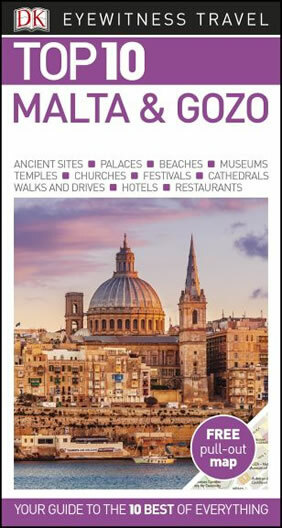 • Explore Malta’s baroque capital, Valetta- recognized as the European Capital of Culture in 2018. • Visit the Manoel Theater, one of the oldest working theaters in Europe. 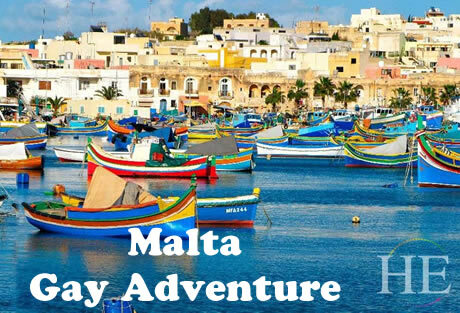 • Relax every day over incredible cuisine and wine at some of Malta’s most famous eateries. • Tour the Hagar Qim and Mnajdra Temples, sites that are 5500 years old and theorized to have been built for the worship of a fertility deity. • Join the fun as we ride our quad bikes around the beautiful island of Gozo. • Sail for a whole day on a racer-cruiser performance boat with an incredible combination of comfort and quickness. Today everyone lands in Malta and is whisked by private transportation to our hotel, where this evening we will enjoy a welcome dinner to celebrate our arrival. After a tasty breakfast this morning, we will start out with a lovely walk in the country, just 20 minutes away from the island’s busy, central-east portion. 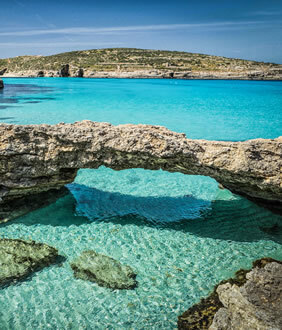 This is a moment to properly introduce yourself to Malta, to breathe in the serene views of geography, sky, and air. It’s a mellow hike, but we recommend that you are able to walk on paths, over rocks, and on a slight incline. Next, our transportation arrives to help us time-travel back some 5500 years as we visit the Hagar Qim and Mnajdra Temple sites. In 1839, excavation started on these religious sites and scholars then and since theorize that they were built to worship a type of fertility deity (something we don’t hear about too much these days), but these two temples in Malta are dated to 1000 years preceding the pyramids at Giza and Stonehenge. Later today, we will enjoy a boat ride through the famous Blue Grotto. This is a series of sea caverns that showcase the area’s beautiful waters and the interplay of dark and light. It’s a refreshing excursion! We will wrap up the evening with a visit to Hypogeum. Discovered in 1902, this remarkable 5000+ old temple only allows 10 visitors per hour. After our breakfast, we get to explore the famous Baroque capital recognized in 2018 as the European Capital of Culture. Everywhere we look today behind these city’s gates, there will be historic architecture and culture juxtapose with contemporary life. Overlooking the Grand Harbor are The Upper Barrakka Gardens. As you stand on the terrace, breathe in deeply as you take in the panoramic view of the Mediterranean’s only natural harbor, framed in behind by the Three Cities. Later we will visit The Manoel Theater, one of Europe’s oldest working venues. This Baroque gem of a theater has stunning acoustics plus a packed calendar featuring regional and world performances, in both English and Maltese. Next, we’ll enjoy a fantastic, short 45-minute film about the comprehensive history of the Maltese Islands and then make our way to the Hospital of the Knights of St. John, an architectural marvel bound up in a legacy; That of a dedicated, brotherhood of men who devoted themselves to helping wounded and ill pilgrims. Today’s lunch is delicious plus interactive. We’ll dine at ‘Nenu the Baker,’ argued to be the best venue in Valetta in which to try a variety of traditional Maltese dishes. In this bakery, that has evolved over time into one of the world’s most iconic restaurants, be sure to try some ftira, a famous pizza-like item, done Maltese style. The afternoon will be spent at Valletta’s National Library, one of the most venerable treasures of the Maltese Islands. This famous library has collections spanning back centuries to the medieval ages. A National Library Librarian joins us for this leg of our tour today and will describe some of the great treasures in these collections as we explore the building. The day will wrap up with an Upper Barrakka elevators ride down to the old Customs House where a Dghajsa (a traditional Maltese boat) awaits to give us a private cruise of the Grand Harbor. Megalithic peoples once sailed these waters. So did the Phoenicians, the Romans, Ottomans, British, Napoleon and now you! You’re part of Maltese history as well! 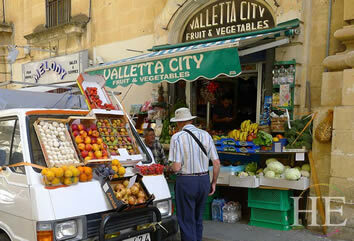 Today’s excursions after breakfast, highlight some of the Maltese Islands’ artisan traditions. We will watch how the world famous pastizzi snack is made and then we get to eat some- yum! The dough is uniquely made – not quite like filo dough nor like puff dough, and the cheesy filling is ricotta but also often a combination of delicious cheeses. In addition to Maltese food traditions, lace-making here is also famous. Today we’ll check out some ‘il-bizzilla,’ one of Malta’s longest and most cherished traditions. From the time of the Knights of St. John (1530 – 1798) handmade bobbin lace adorned and accessorized noblemen’s clothing. The Maltese developed it into their specialty as the trend for lace grew throughout Europe. Later today, enjoy a wine-tasting as we join the owner of the San Niklaw Estate in the South-East corner of Malta. This is where roads from Zejtun, Marsaxlokk, and Marsascala meet, and at the middle of this estate is a country residence plus an adjoining 17th-century chapel dedicated to St Nicholas. This small, family-owned Estate includes vineyards, olive groves and a boutique winery with an underground cellar dating back to the late 19th century. The Estate’s principal products include cultured and distinguished wines plus a premium olive oil. Lunch today will be a fantastic fish lunch in the village of Marsaxlokk, Malta’s chief fishing village plus a prime spot to watch the brightly painted fishing boats. We’ll be launching at one of Marsaxlokk’s finest restaurants. The rest of your day will be free for enjoying at your leisure. Today’s views include the Dingli Cliffs, which at 253 meters above sea level, are the highest point in the Maltese Islands. Our view here ranges over terraced fields below plus the open sea and the mostly bare, uninhabited islet called the island of Filfla. Shortly after this view from on high, our ground transportation will take us to nearby Clapham Junction to examine the mysterious cart ruts left in Malta’s ancient limestone. This assortment of deep ruts, tracks, grooves, and channels leave scholars scratching their heads. The old Roman City of Melita here was divided in two when the Arabs ruled for 200 years. The Citadel became known as Mdina and the rest of the area was called Rabat. Mdina fits Europe’s best archetype of an ancient walled city and as we walk through you’ll marvel at its combination of medieval and baroque architecture. 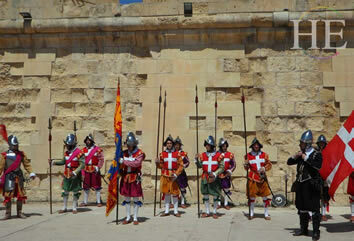 Rabat has also been a major player in Malta’s past and is a prime source of its cultural heritage. Here we’ll see St. Paul’s Church and Grotto as well as the St. Paul’s Catacombs. When we break for lunch today we’ll enjoy a farm prepared meal with straight-to-table ingredients. Here, in one of Malta’s most rural areas, we’ll find ourselves in a lovely oasis enjoying a delicious assortment of local food and wine. We’ll hear some artisan skills today when we meet Francesco, a musician who restores works at the Heritage Malta and also creates traditional Maltese instruments. You’ll marvel at the bagpipe made from a whole goat and enjoy hearing fun stories and histories about these instruments. 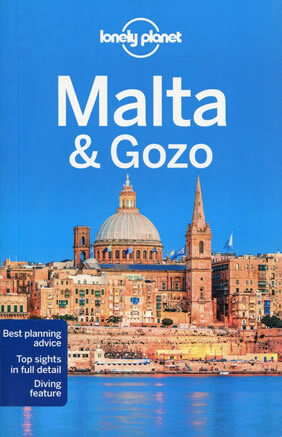 Next, we will jump on a boat that takes us on a 25-minute crossing from North Malta to the island of Gozo this afternoon, the second-largest island in the archipelago. If you’ve read Homer’s Odyssey, you’ll know that Gozo has a long association with Ogygia, the island home of the nymph, Calypso. Our dinner tonight at our hotel in Gozo treats us to more fresh, local fare as we toast our day’s adventures. There is really no better way to experience the island of Gozo than on a Quad Bike. Ride along less traveled roads to discover unbelievable beauty and tranquility. We will enjoy a deliciously prepared picnic lunch at one of our stops. Kayaking later today will give us the freedom to discover the unique beauty of the Maltese coastline and clear blue seas. The island is littered with caves that we can freely explore. We will enjoy a tasty dinner at the water’s edge this evening. Xlendi Bay provides the perfect backdrop to an evening dining experience. Enjoy a stroll along the bay and take it all in. This is our private sailboat day. After breakfast, we’ll board Allegra. Allegra is a 47.7 Beneteau racer/cruiser performance boat. She has all the luxuries of a modern cruiser coupled with a hull design and sail configuration of a competitive racer. She’s comfortable, fun and fast. We’ll have lunch on the sailboat. In the evening we’ll have our farewell dinner. Today we depart from our hotel to the airport. We trust you had an amazing time in the Maltese Islands and will leave with a lifetime of fond memories and new friends. Savor the bounty of the rich traditions of Italy’s Adriatic coastal region of Puglia. By day explore mountain towns, seaside villages, Swabian castles, and cave homes that pre-date the Renaissance. Then each evening relax in our authentic 14th-century villa over a dinner featuring produce, meat, and fish from the region, and olive oil and wine from the villa’s own fields. This gay travel Italy culinary tour was designed to give guests a truly authentic taste of the Italian region of Puglia. This tour starts and ends in Valletta, Malta. The main physical activities involve kayaking, quad bike riding and walking on guided tours. While in Malta, we will stay at a 5-star luxury hotel. 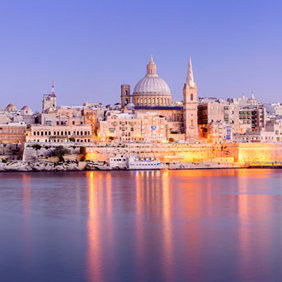 This Valletta icon is a fine example of the city’s revered architectural traditions. 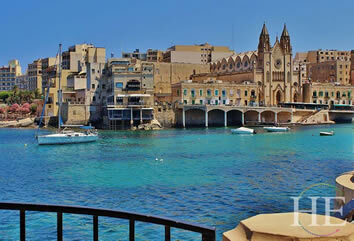 While in Gozo, we will stay on the edge of picturesque Xlendi Valley in an 18 room Boutique Hotel.